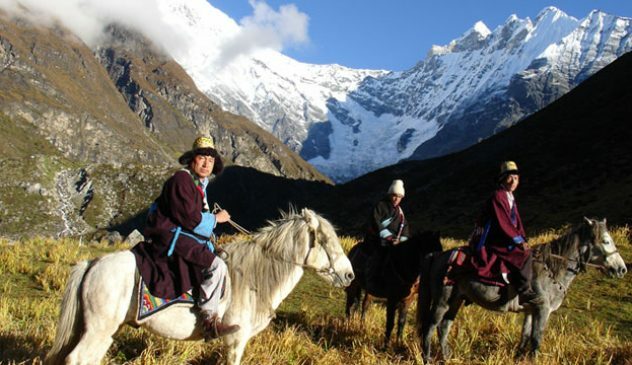 Langtang Ganja La Pass trek takes you to the famous Langtang region and the Ganja La pass(5122m/16,800 ft). Moreover, we make a fantastic excursion to Tserko Ri (5,000m/16,404ft) which offers magnificent views of the Langtang Himalaya range. 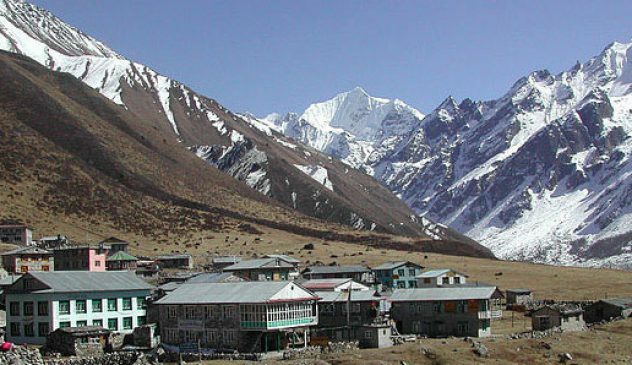 The attraction to the Langtang region is that it is very close to Kathmandu and it is wild as any other Tibetan highlands. 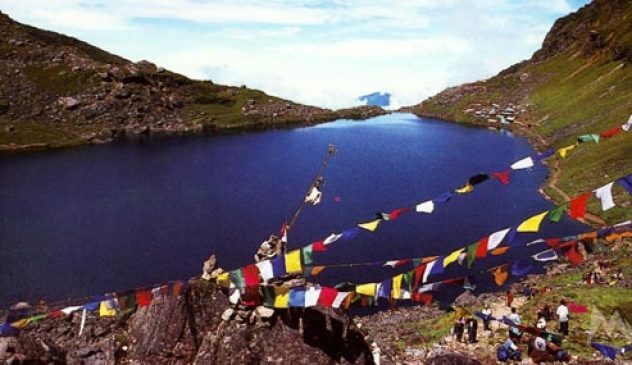 Langtang region is also famous for Gosaikunda Lakes. Moreover, the green rhododendron and bamboo forests, majestic waterfalls, and the snow-capped Himalayas make the trek one of the most diverse treks near Kathmandu. The people living in the Langtang region are certainly the Nepalis, being the Tibetan origin, they still look like Tibetans. We start Langtang Ganja La Pass adventure with a day’s bus ride from Kathmandu to Syabrubesi. The trek begins from Syabrubesi, via the Kanyanjing Gompa; then we cross the mighty Ganja La pass and ends at the Melamchi Pul Bazaar in the Helambu region. Toward the end of the trip, you will also trek through some beautiful rice terraces and many numbers of splendid Buddhist monasteries around the lovely villages of Tarke Gyang and Sermathang before returning back to Kathmandu. Upon your arrival at the Kathmandu airport, you will be greeted by a representative from Golden Himalayan Zone Treks. After completing your custom formalities (Visa, etc) pick up your luggage and look for our representative with a Golden Himalayan Zone Treks display board at the arrival gate. You will be then taken to your hotel. After check-in, you will visit the HGT office, meet your trekking guide as well as other participants. In the evening, there will be a welcome dinner hosted by Golden Himalayan Zone Treks where you will be served excellent authentic Nepalese cuisine which will introduce you to the country’s food culture. Today after breakfast we start a guided tour to several of the most historical and spiritual attractions in Kathmandu. The day will also be for finalizing official procedure and other necessary arrangements. You will be also briefed on the nature of the trek, equipment and team composition. Some of the landmarks we visit include the World Heritage Sites of Kathmandu Durbar Square, the sacred Hindu temple of Pashupati Nath, the famous ‘Monkey Temple’ (Swayambhu Nath) and Buddhists shrine (Bouddha Nath). In the afternoon, there will be a pre-trip discussion where we can meet our trek leader and other team members. You can also make your last minute buying of personal items as you will be leaving for the Himalayas tomorrow. After morning breakfast we drive out along the north-western hills of Kathmandu. Enjoy the Himalayan views and mountainous lifestyle through the terraced fields and rustic villages. Take Lunch at the Trishuli Bazar before continuing further to Dhunche. From Dhunche, we descent down to Syabrubesi. This is our first day of trekking today. Follow the Langtang Khola River. Pass through the dense forests. Cross several suspension bridges. We also pass by tea houses. The trail goes up and down but it’s not that challenging. Today after breakfast, we start our trekking day towards the village of Mundu. Our trail continues along dense forests. After making a steady climb up through the valley, we leave the tree line behind us. Enjoy the marvelous views of Langtang Lirung. 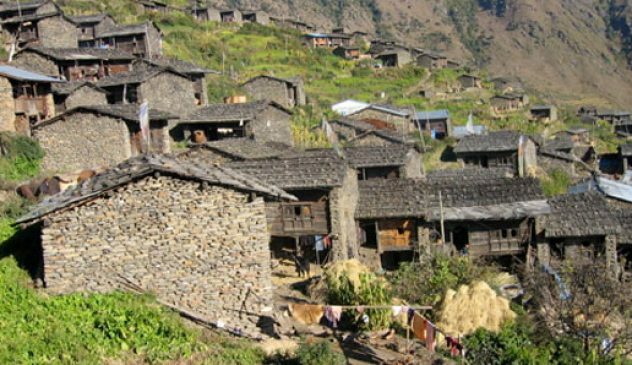 On the way to Mundu, you will also pass the Langtang Village, which was severely affected the earthquake last year. Langtang Valley alone lost 400 lives, flooded away by an earthquake-triggered avalanche, destroying an entire village and infrastructures. We also see the ruins of Langtang Village, where life is slowing building back and a few tea-houses are reopened. After breakfast, we will start our journey to Kyangjin Gompa, a principal monastery of the region. You will pass by water mills, prayer wheels, chortens, with sacred mounds of rocks with inscriptions carved on them. Also pass the largest mani wall in Nepal, made from stone with prayers written on them. The prayers written on the Mani wall is supposed to be blown away by the wind. After the short trek, you will spend the rest of the afternoon exploring the Buddhist shrine and surrounding areas with the amazing views of the mountains. After taking morning tea and breakfast, we get out of the village and pass on through yak pastures and start for visiting to Tserko Ri (5000m/16,404ft) for mountain sunrise views. Since, we are really getting into the high altitudes, you might start feeling the thin air. In the afternoon return to Kanjin Gompa- surrounded by the Himalayas all around. You can take a walk around Kanjin Gompa enjoying the views, glaciers, icefalls, birds and yaks. Taking today’s breakfast, we embark on our today’s journey to Ganja La Phedi. Cross the Langtang River. Ascend through rhododendron forests. Since, we’re already in high altitude, the time for getting to our destination also depends upon the season of the trek. Since, during the winter snow, it might take longer time to cross the snow strewn path. Today we cross the Ganja La pass. It’d be a strenuous day since Ganja La is one of the difficult passes. Ganja la pass is covered with snow almost throughout the year. Make the long ascent through the boulders, pass the small lakes, and summit the Ganja La which situated on a rocky moraine. Enjoy the spectacular views from the pass. Climbing up and down the pass can sometimes be tricky due to snowfall and ice. From the pass, we descend down to Keldang. Trek from Keldang to Yak Kharka. From Keldang, we descend further down following a prominent ridge line. In our 5-6 hrs trek today, we continue losing our altitude through forests, ridges, and grasslands. Today, we lose altitude considereably, about 1500 meters. The trail would be similar, except that as you descend lower, you will notice more vegetation. We cross small forest with the view of the beautiful village of Helembu region. The trail makes a sweep around the wide valley end between Parachin and the pretty Sharpa village of Gangyul. The people of this village practice Drukpa Kagyu Buddhism, the same as the national religion of Bhutan. On our final day of the trek, we walk down to Malemchi Pul Bazaar with many Sherpa village. From the Bazaar, catch a bus to Katmandu. To celebrate the successful completion of our journey, we will have a farewell dinner in the evening. Overnight in Kathmandu. Today the journey comes to an end. There’s nothing to do but trade emails with your new friends, organize all your photos and finally depart from Nepal. If departing, you’ll be transferred to the International Airport for your departure flight to your onwards destination. Or get ready for the next adventure.